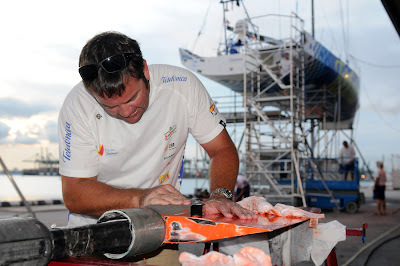 Equipo Telefonica Shore Manager Campbell Field mucks in with boat maintenance. 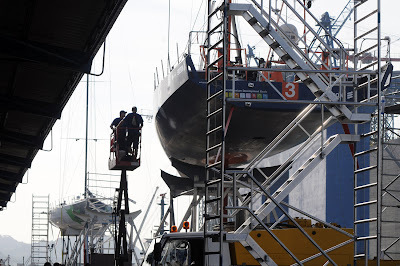 Ericsson 3 is prepared to be lifted back into the water. 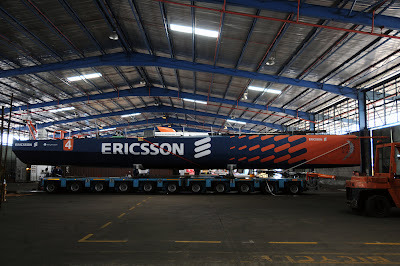 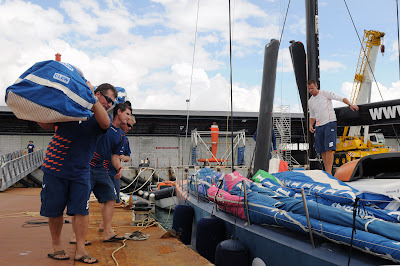 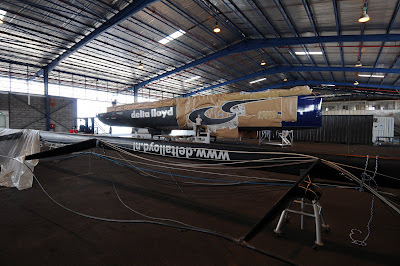 Ericsson 4 in the Singapore haul-out area, having been returned to the warehouse for re-measuring by the Volvo Ocean Race's Rule Management Group. 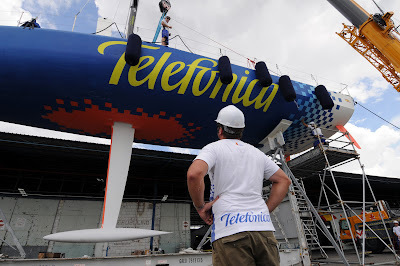 Telefonica Blue is returned to the water. 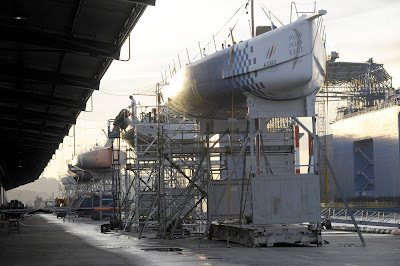 Ericsson 3 is prepared to be moved to the Volvo Ocean Race Singapore Race Village having been lifted into the water in the haul-out area.